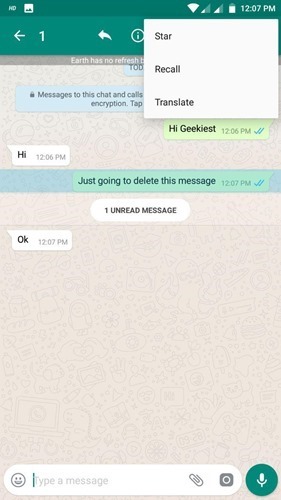 Earlier we have posted about Delete for Everyone Feature on WhatsApp is rolling out , now if you have not received this feature here is how you can get it. First of all this is not about the official WhatsApp application. It is a modded version of the WhatsApp. Earlier There were a WhatsApp+ the users of it was banned by the WhatsApp, Even the developer of the modded version which we are going to discuss says users will not get banned, use it at your own risk, Geekiest or the author will not be responsible for any damage caused by the application. I have friends using this for more than one year. The Modded version is WhatsApp Plus you may also get another version named GBWhatsApp. The advantage of using GBWhatsApp is you can install it while you use the WhatsApp or WhatsApp plus in your Android device. While it will be displayed as “This message was deleted” for other WhatsApp user. If the user at the other end also using GBWhatsAPP or WhatsApp Plus the message will not be displayed on the screen. 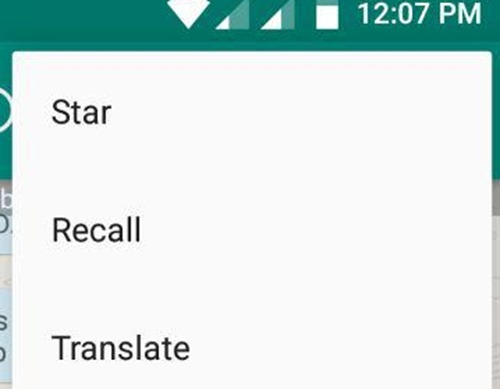 I have installed the official version of the WhatsApp(latest beta version) and GBWhatsApp which have the Message delete for every one feature(Recall message option in GBWhatsApp). Both work together with out any issues. Get the application from this link, you can get both WhatsApp Plus and GBWhatsApp from the site. Thank you Insaf for the tip.